Tens of thousands of anti-government protesters took to a major highway in Bahrain on Friday demanding the cancellation of the Formula One Grand Prix. 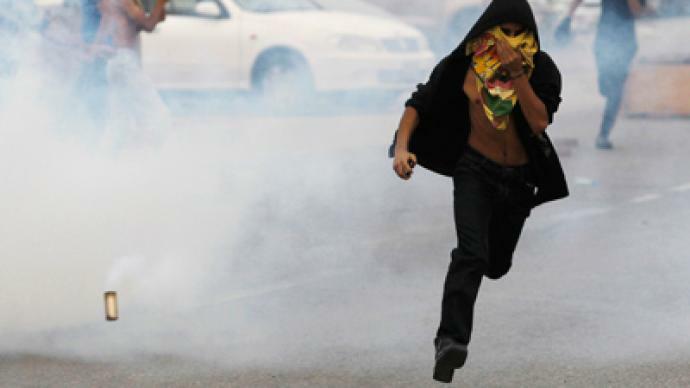 Protesters threw petrol bombs while the police responded with tear gas and stun grenades. ­Police were allowed to fire live rounds if necessary, said John Yates, the former assistant commissioner of the Metropolitan Police hired by Bahrain to advise on police reform. “If the opposition started firing live ammunition, the police would respond with live," he said. The rally had received permission from the government. But when a group of about a hundred protesters broke away from the rally, police fired stun grenades and tear gas. There were no immediate reports of injuries. 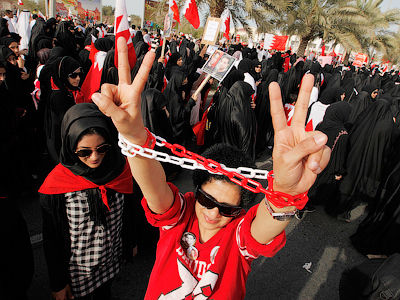 The massive rally was organized by Shiite political groups, including the main groups Al Wefaq and Al Waad. Protesters chanted slogans such as "We demand democracy!" and "Down, Down Hamad!" referring to King Hamad bin Isa Al Khalifa. The F1 race is mainly backed by the ruling Sunni dynasty. The crown prince owns the rights to the event and has vowed that the country's sporting highlight will go ahead. During a visit to the circuit on Friday, Crown Prince Salman bin Hamad Al Khalifa told reporters the F1 race will start on Sunday as planned. "I genuinely believe this race is a force for good. It unites many people from many different religious backgrounds, sects and ethnicities," Salman told journalists. The F1 Grand Prix is Bahrain's premier international event and has been part of the kingdom's attempts to boost its prestige in recent years. 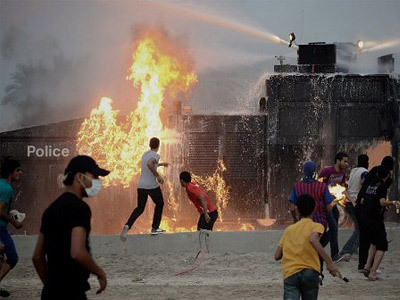 ­Protests and police violence have taken place in Bahrain almost every day for months, but it is a major sporting event that has finally drew international media attention to the drastic situation in the country. 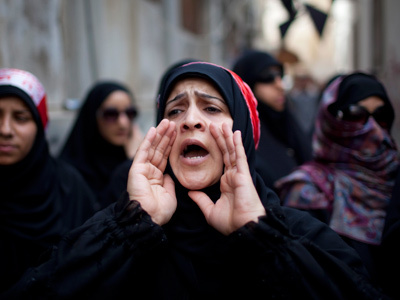 Some say the reason for such reluctant coverage is Bahrain’s close ties to the United States. The two countries are strategic allies with Bahrain hosting the US Navy 5th fleet. Protests and rallies are generally organized by Shiites, who account for 70 per cent of the population. They are demanding an end to discrimination at the hands of the Sunni rulers. The death toll from the year of turmoil now stands at around 70. Many deaths are due to the heavy use of tear-gas by police. The government disputes the causes of the deaths and accuses protesters in Shiite villages of sabotage and attacking the police.